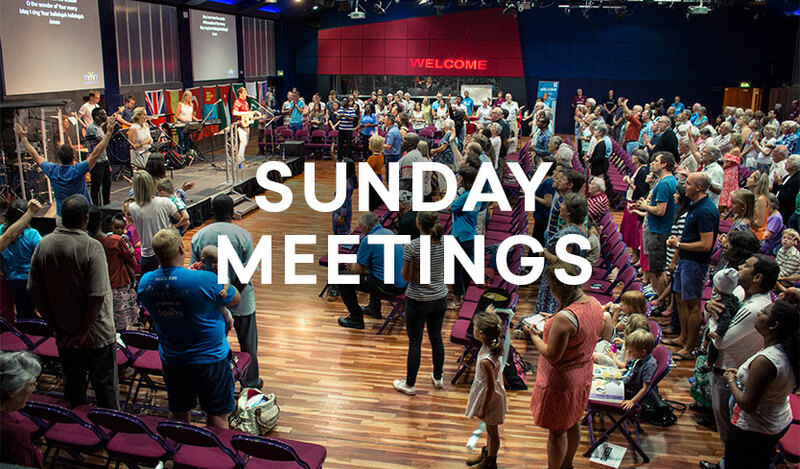 Welcome Church meets in the H G Wells Conference and Events Centre at 9am and again at 11am every Sunday. You’re very welcome to come and join us at either meeting. Our meetings are relaxed and suitable for all ages, and all sorts of people! Just come as you are and enjoy being with us. There’s free tea and coffee available after each meeting. This is a good time to say hello and get to know a few people, so please do stay. To help you on your first visit, we’ve put together some details and a handy guide to some of the most asked questions. You can find this by clicking here. The HG Wells Conference and Events Centre can be accessed either by footbridge from Victoria Road Car Park (level 4 / 5), or, if you’re walking, there’s an entrance at ground level on Church Street East. At both entrances you should find someone from our Welcome Team to help you. If you bring your car parking ticket with you, you can validate it in our ticket machine in reception after the meeting and your parking will be free. If you need directions for the H G Wells Centre, please click here to open a map.